The very first Skud Pai Sho tournament has been completed! 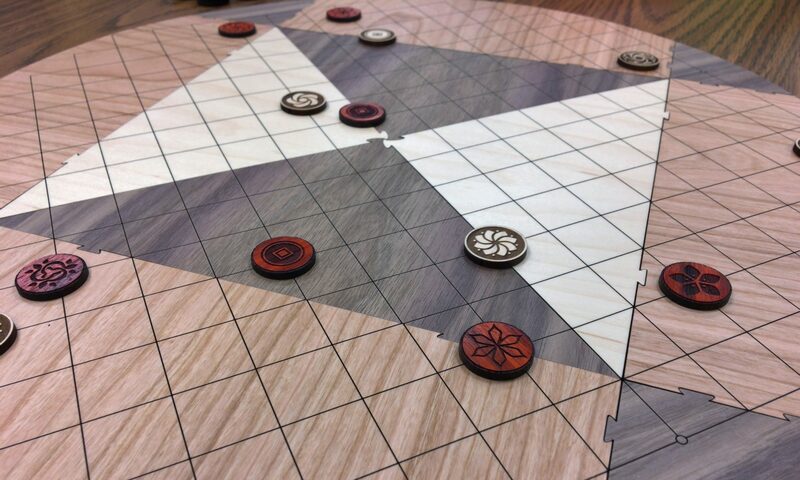 The winner of this tournament was awarded a set of Skud Pai Sho tiles from Lyris Laser Studio, provided by SkudPaiSho. The tournament followed a two-stage Swiss-style structure, with two groups of 6 players playing 3 rounds, and then a championship match between the winner of each group. Below is the tournament summary and links to view all the matches, with winners marked in bold.